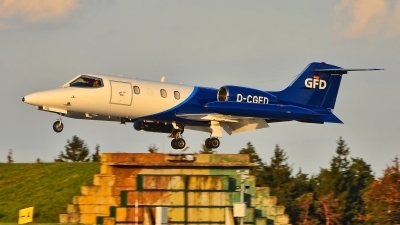 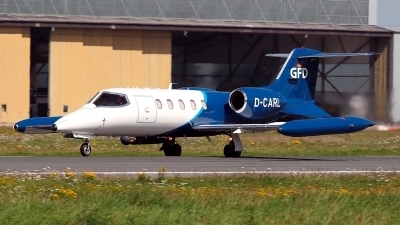 Learjet (callsign "Kite 51") assigned to GFD at Hohn AB is returned back to the RWY 31 shortly before sunset. 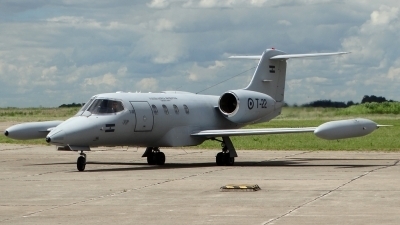 Exercise "Ample Strike 2017". 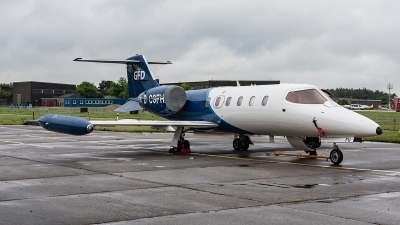 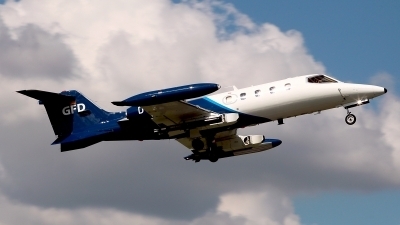 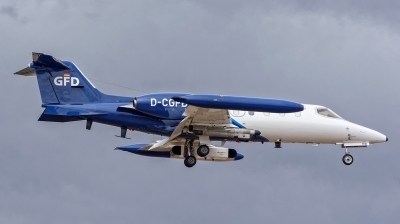 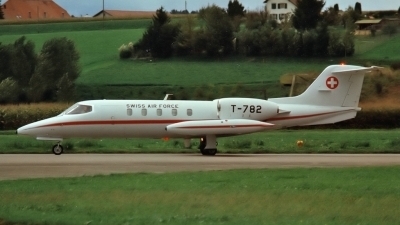 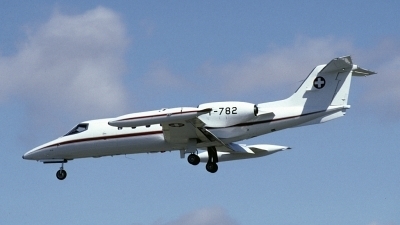 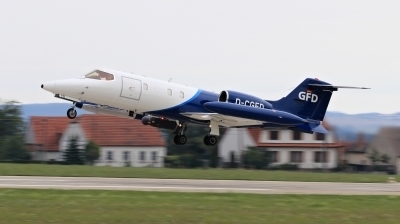 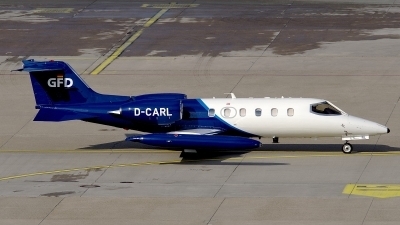 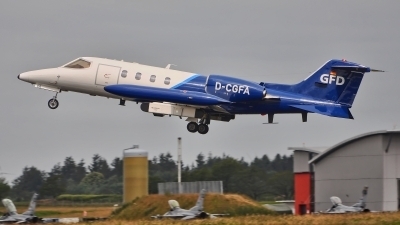 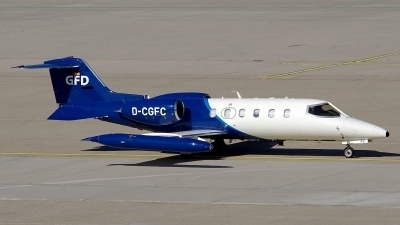 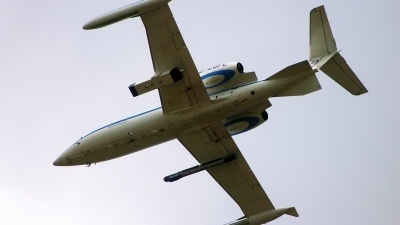 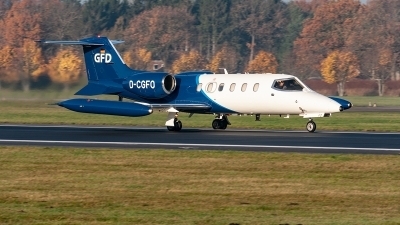 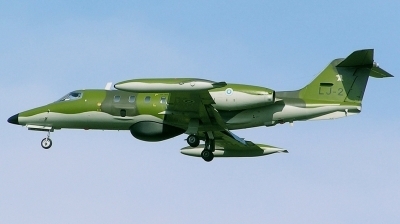 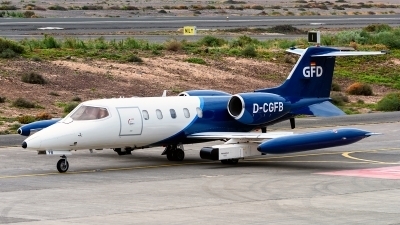 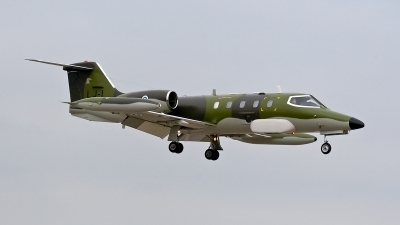 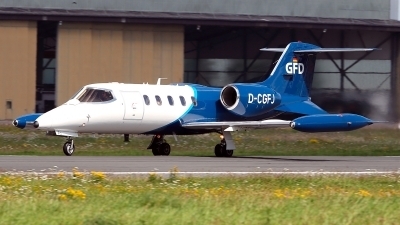 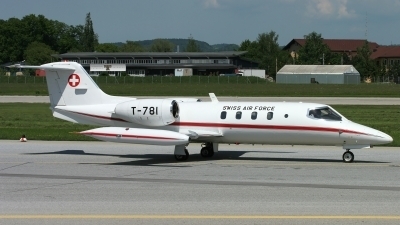 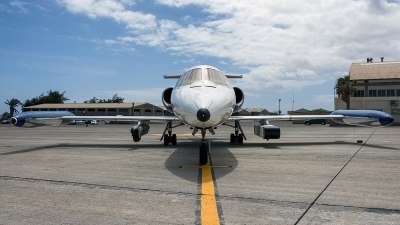 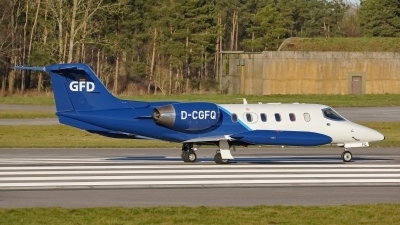 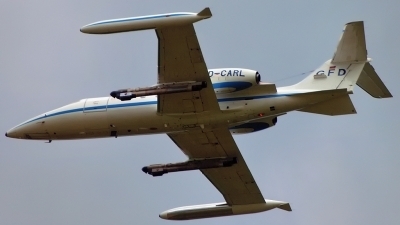 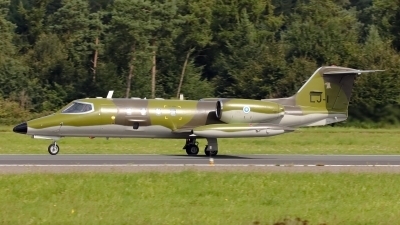 Learjet with ECM pods assigned to GFD at Hohn AB taking off into COMAO sortie during NTM 2014. 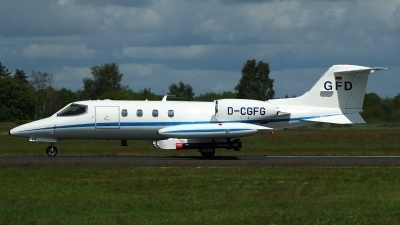 GFD an Airbus/EADS Aerial Target Simulation company.